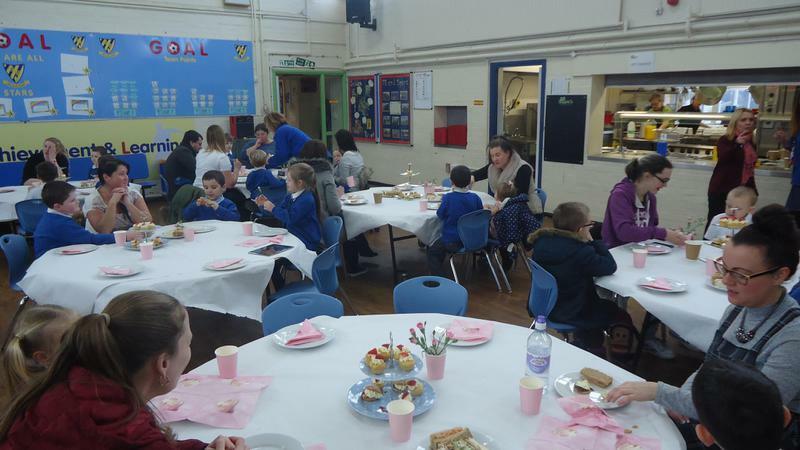 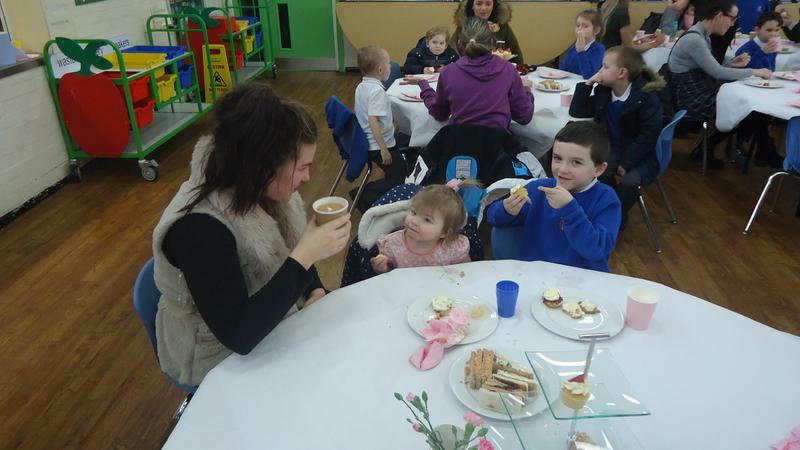 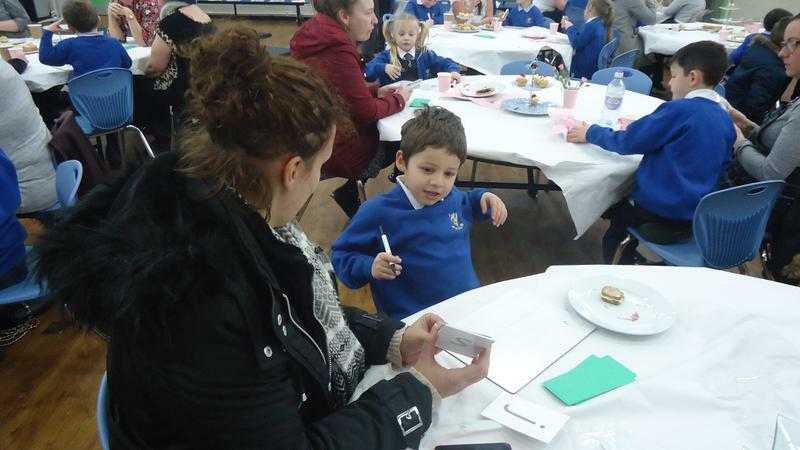 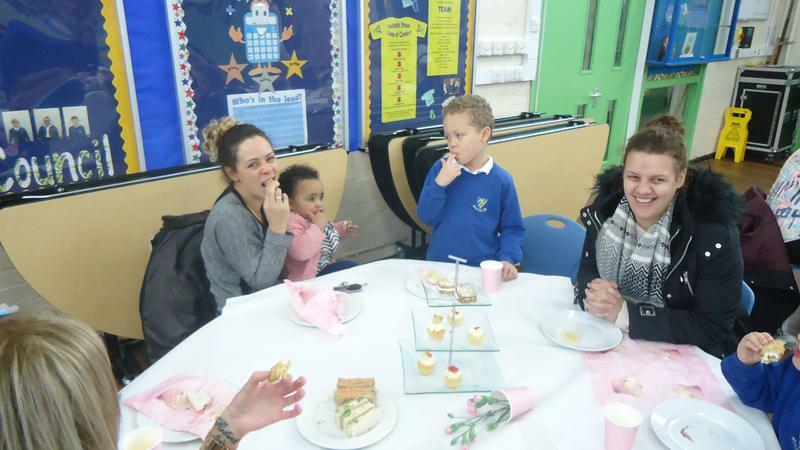 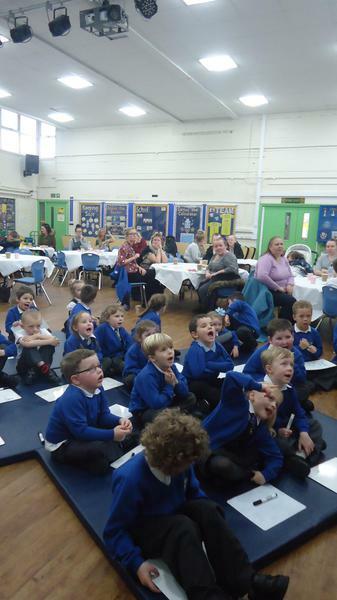 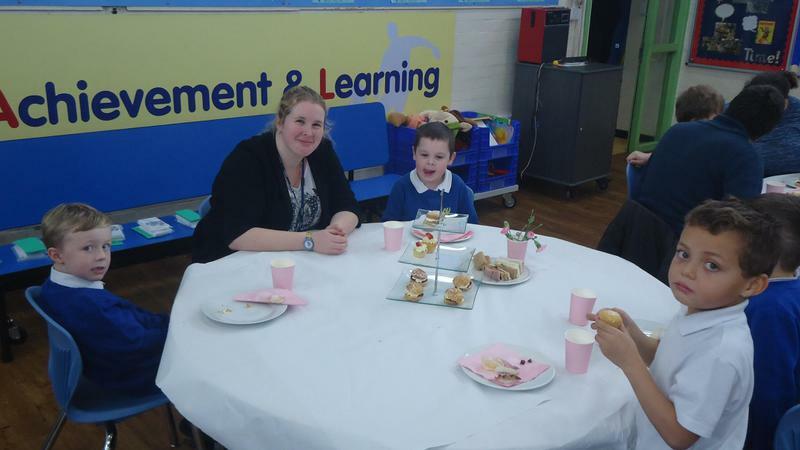 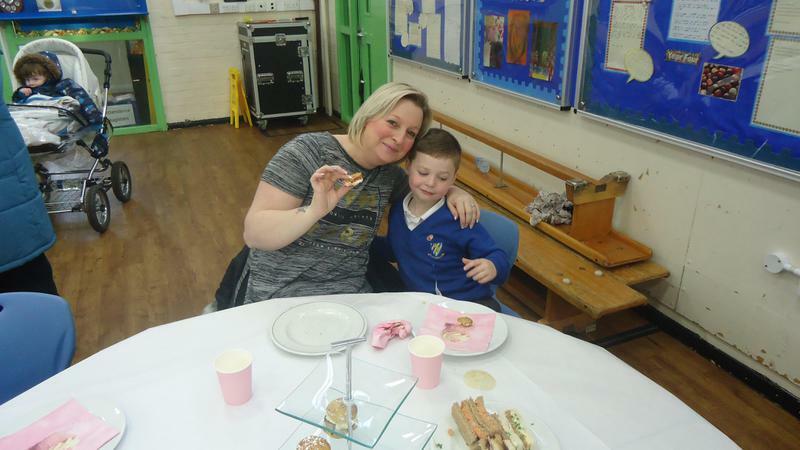 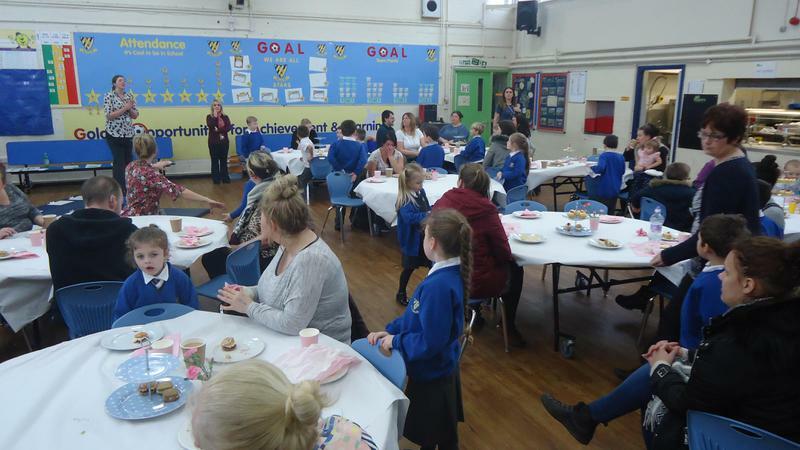 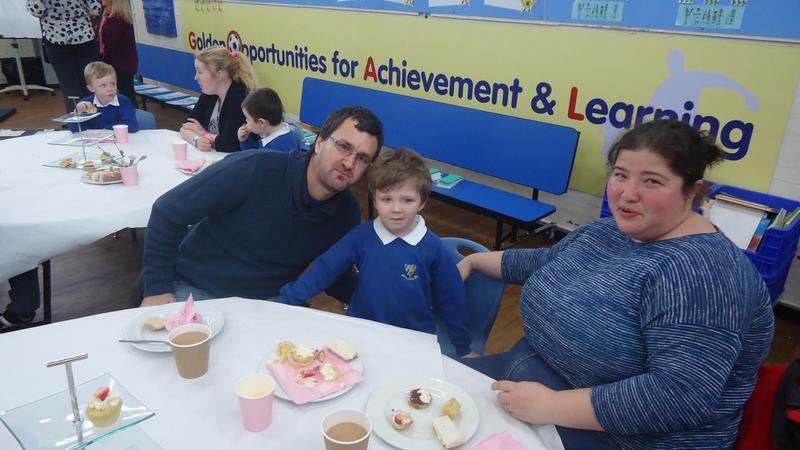 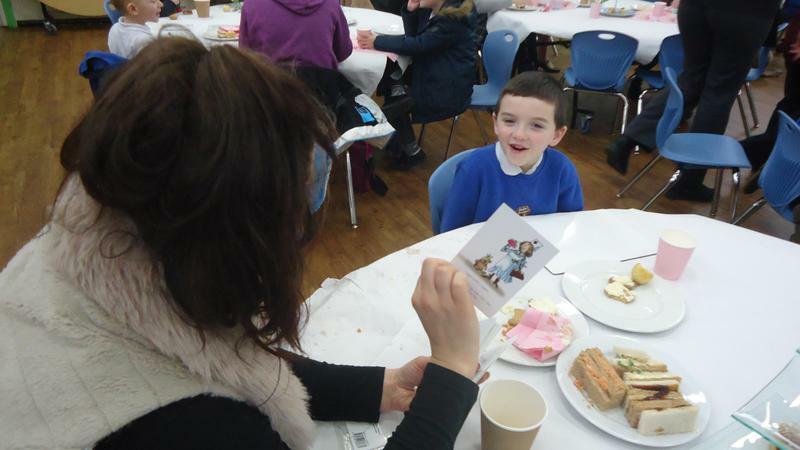 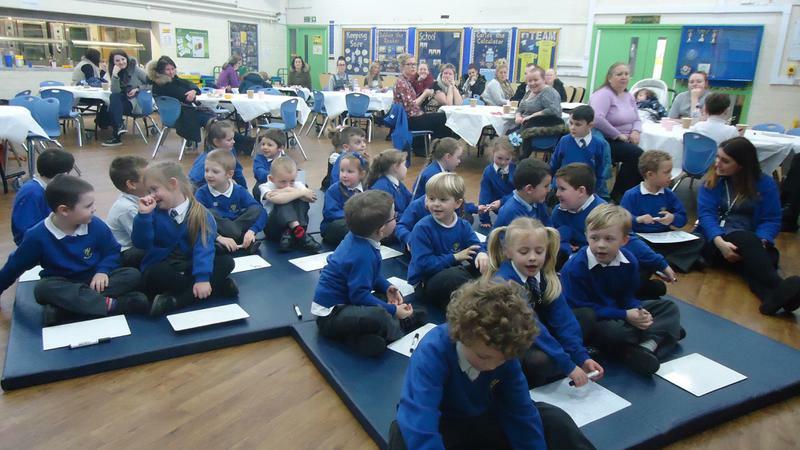 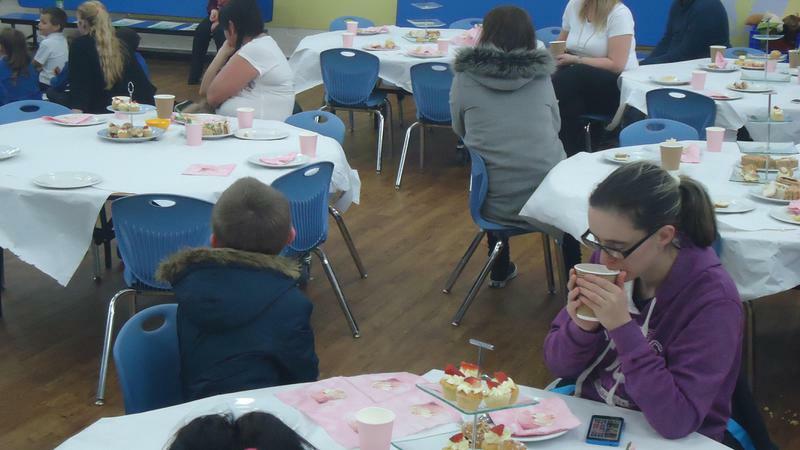 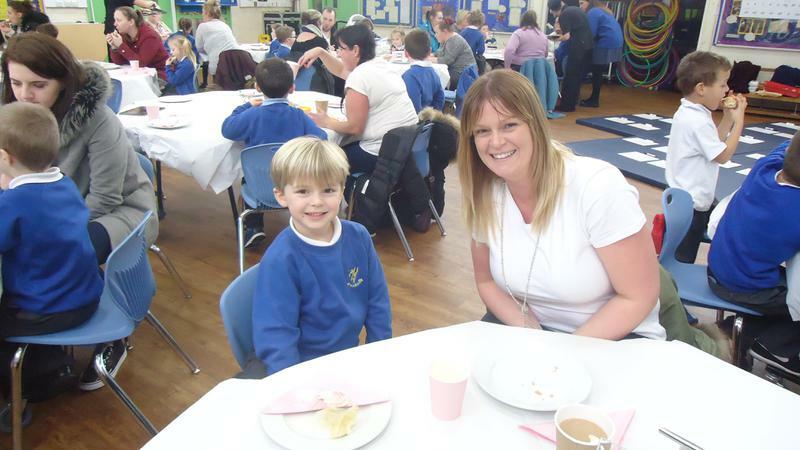 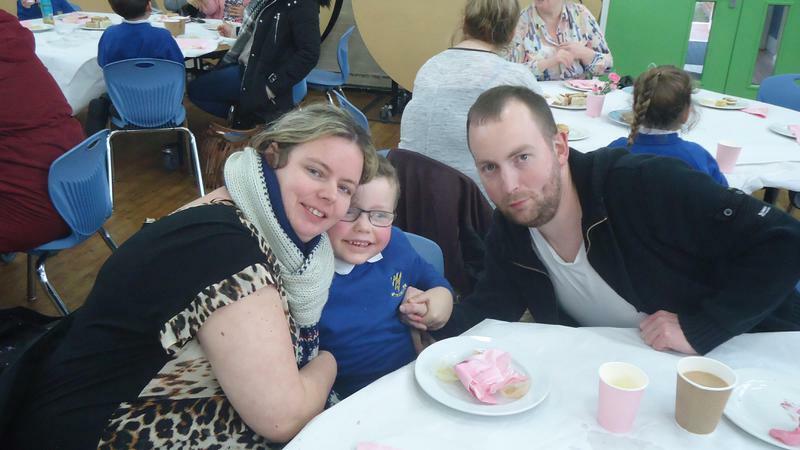 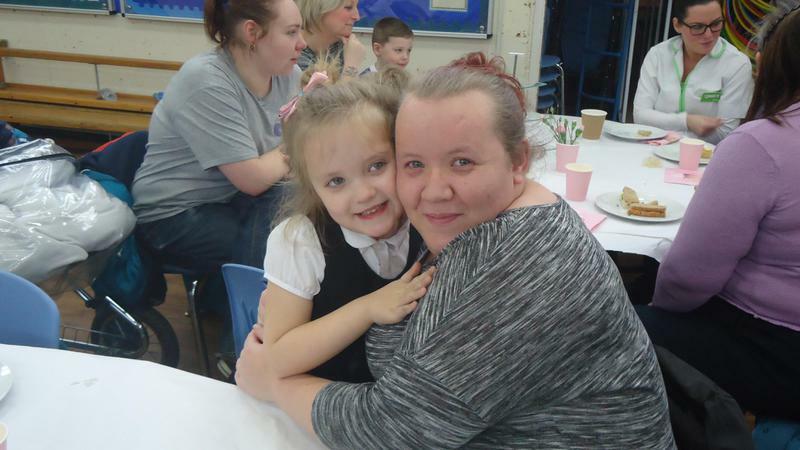 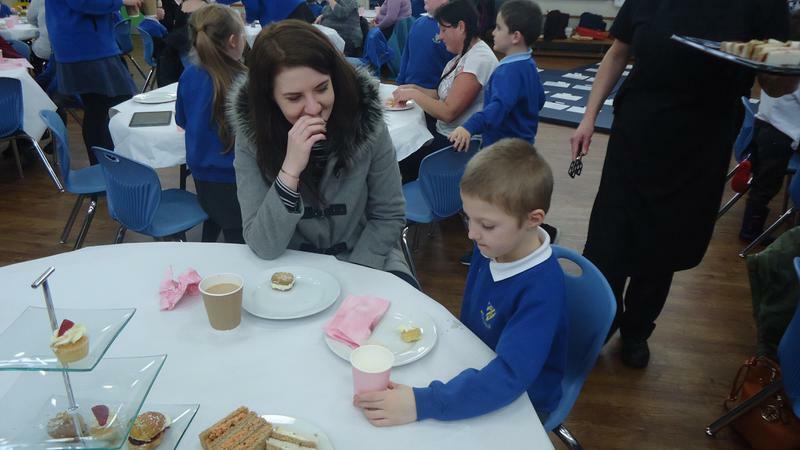 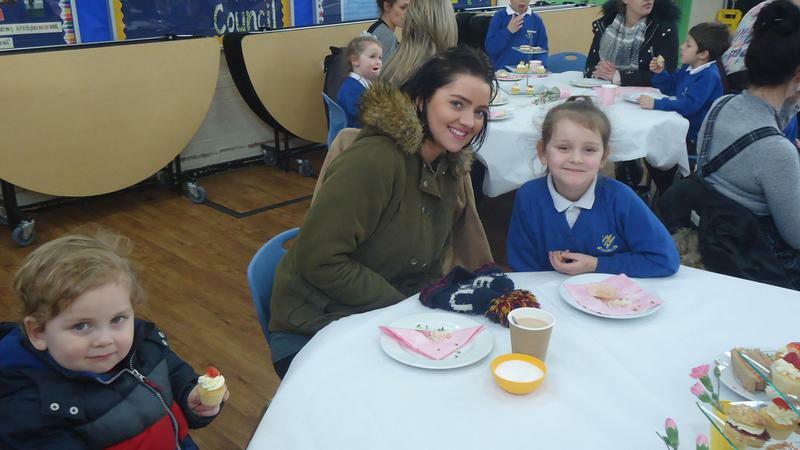 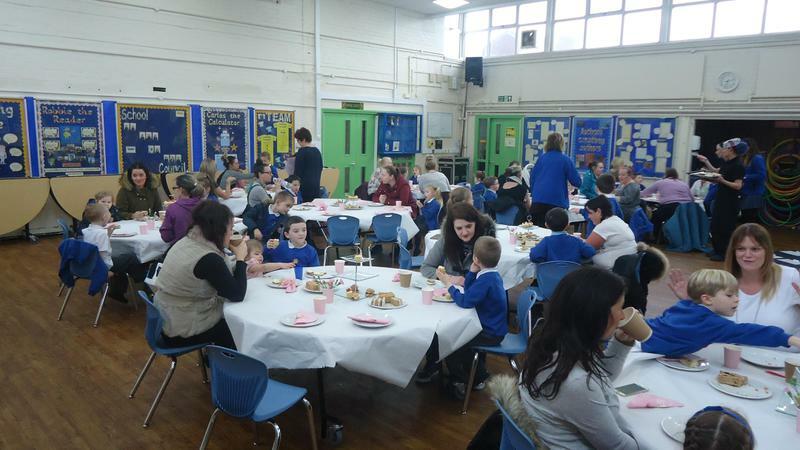 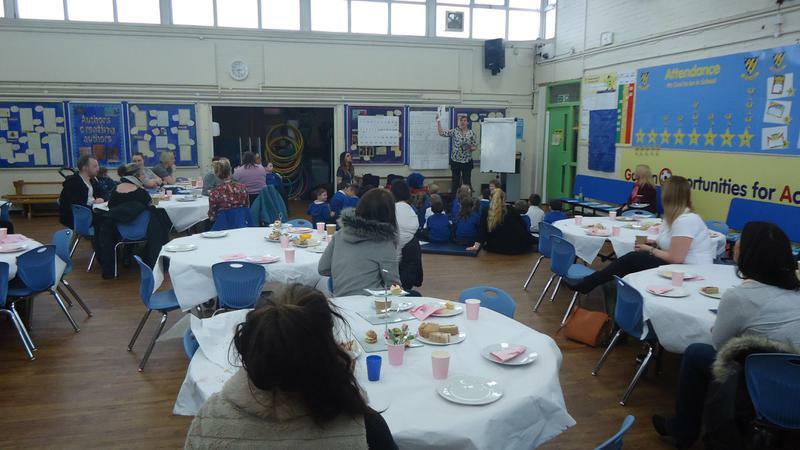 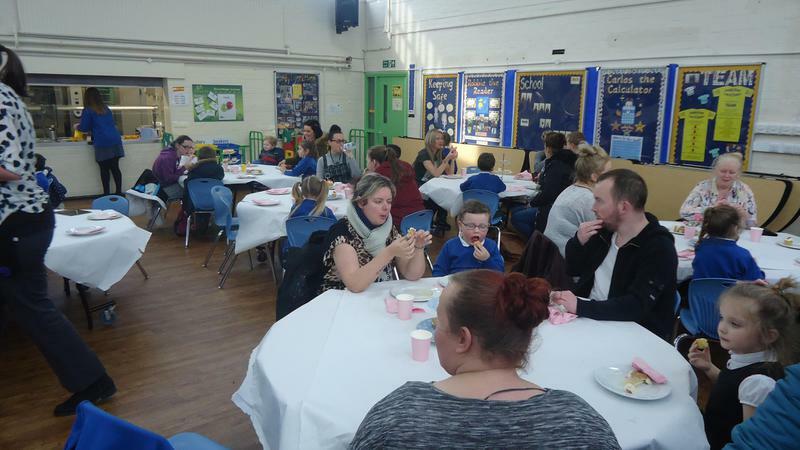 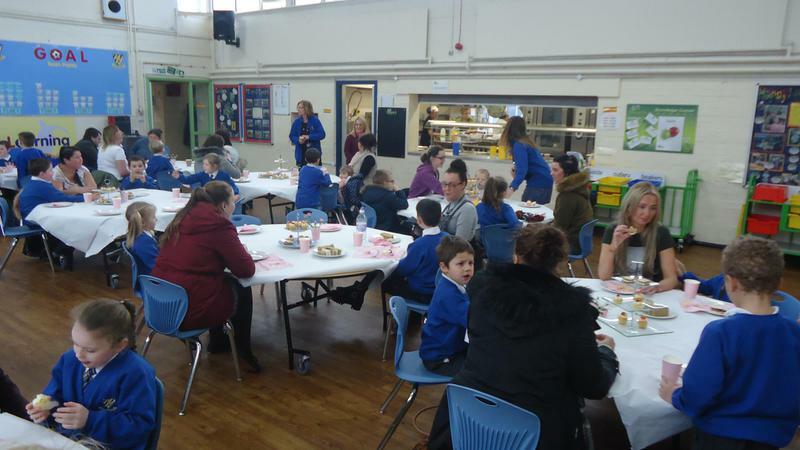 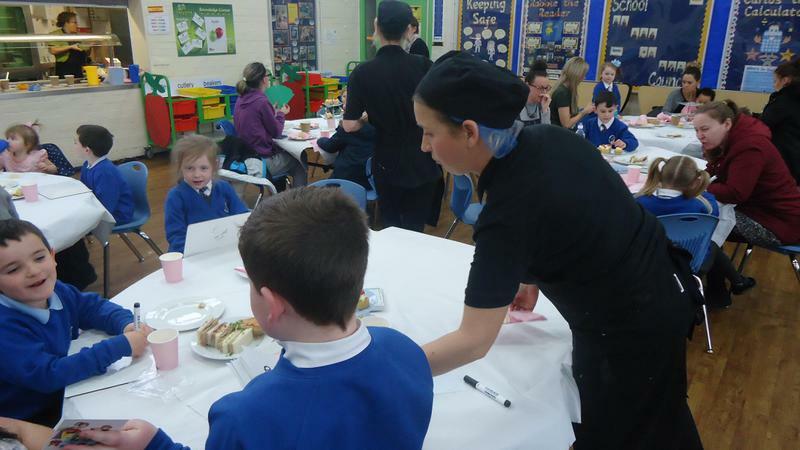 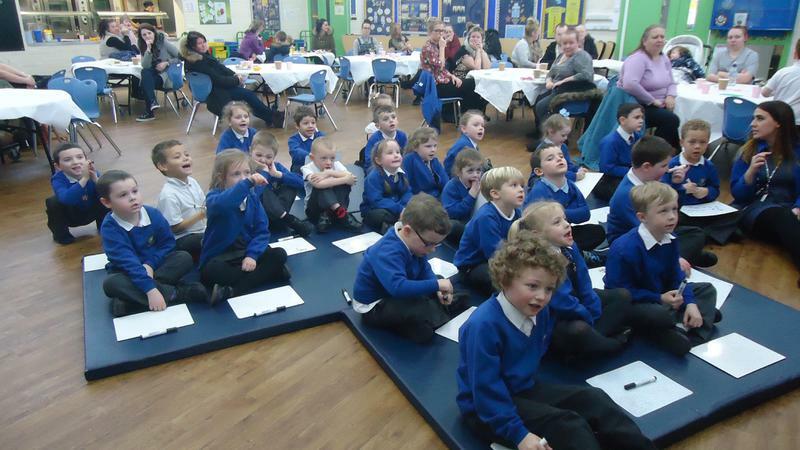 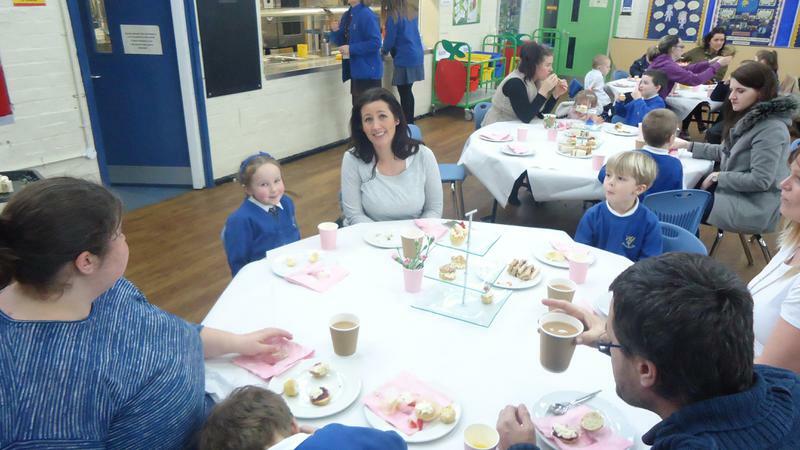 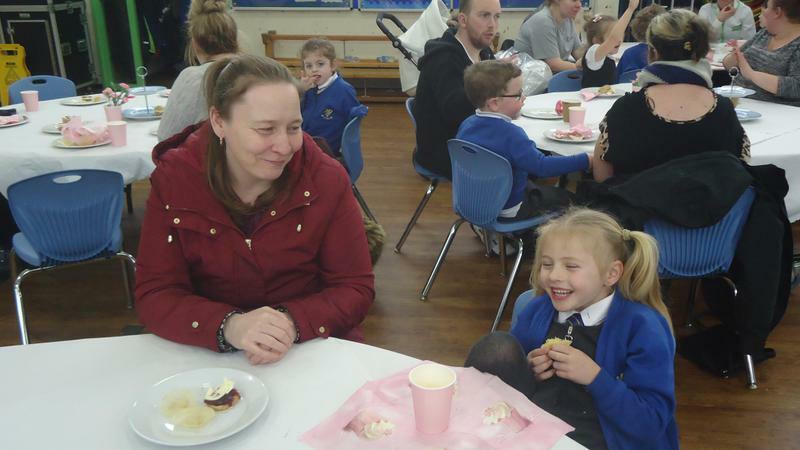 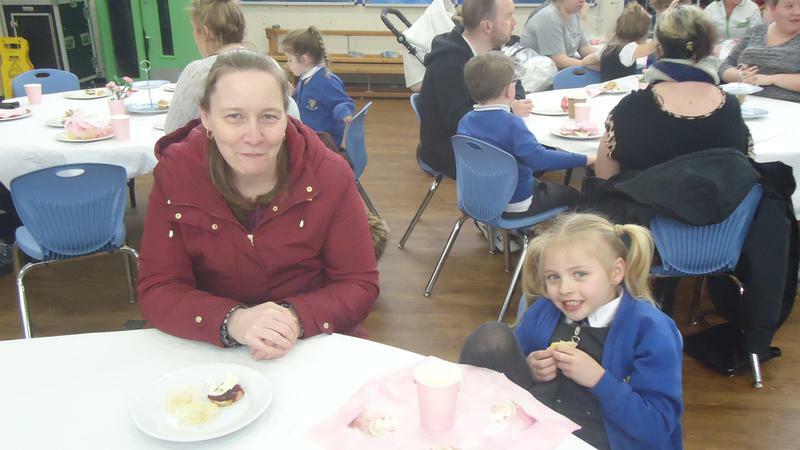 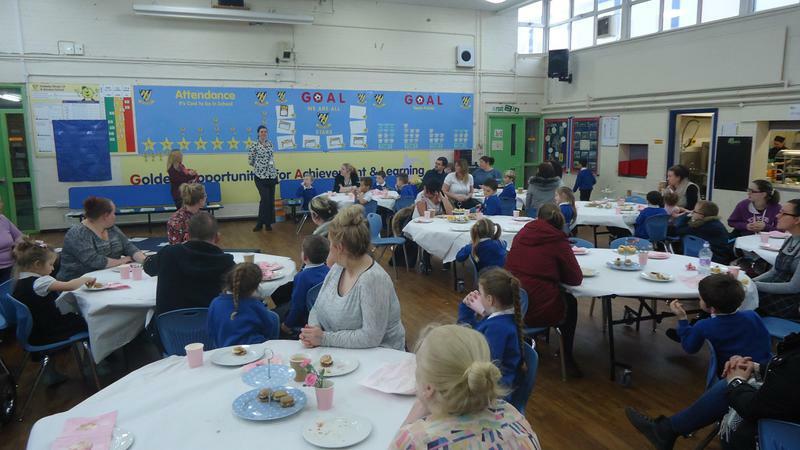 On the afternoon of 26th January 2016, the children and parents of KS1 gathered into the Junior hall to enjoy a 'T' party. 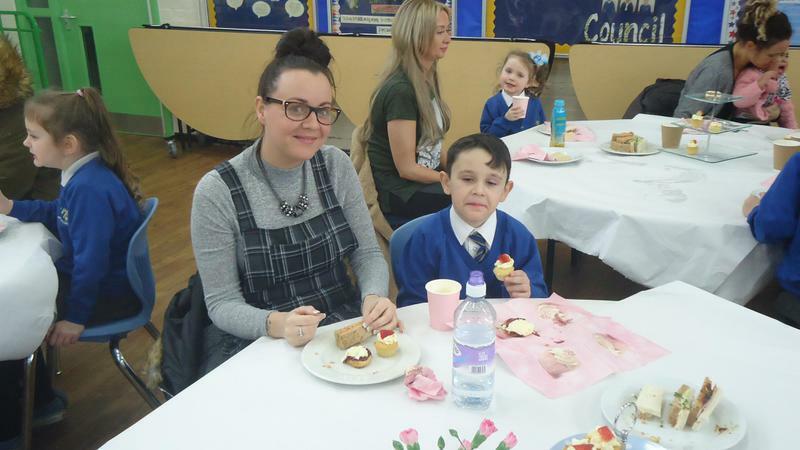 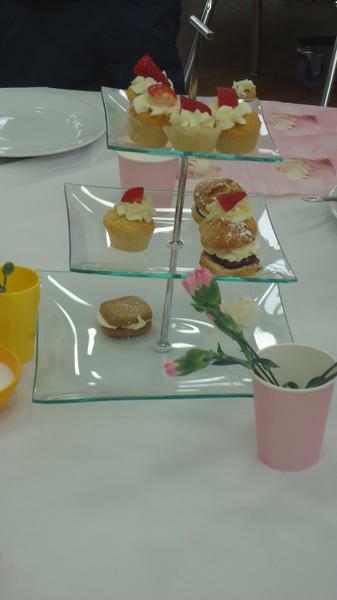 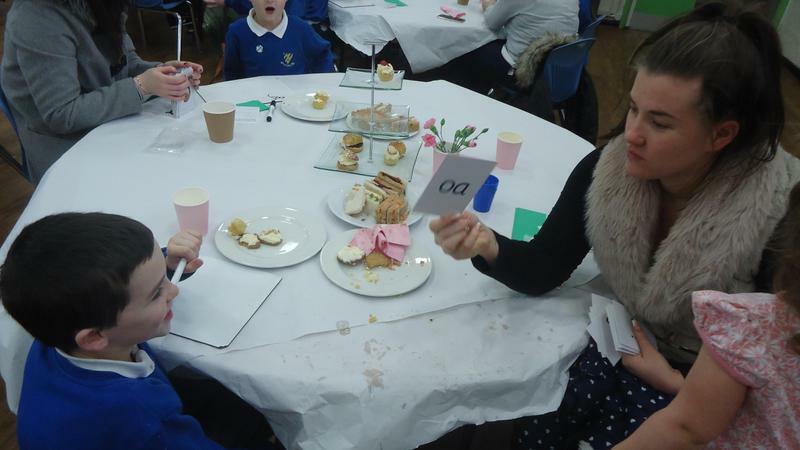 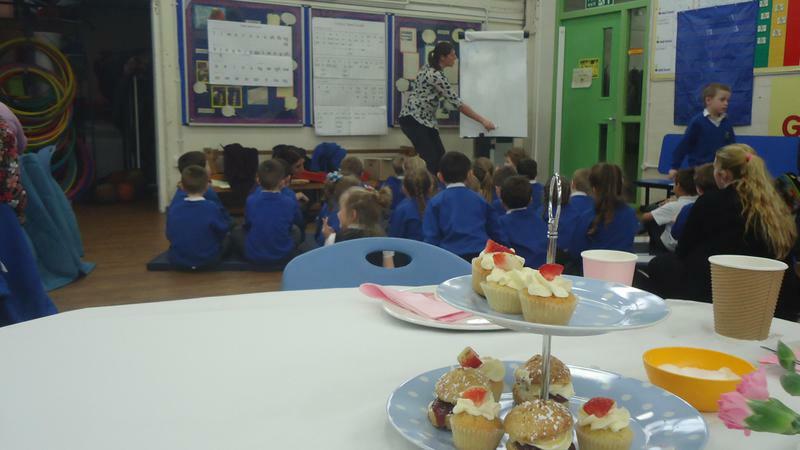 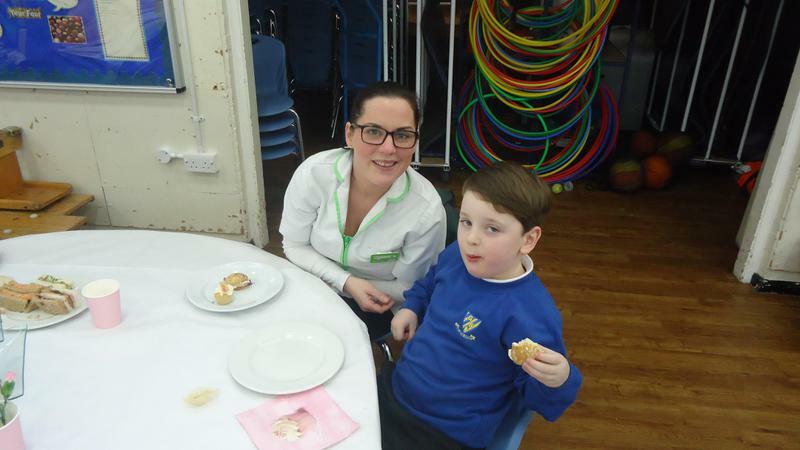 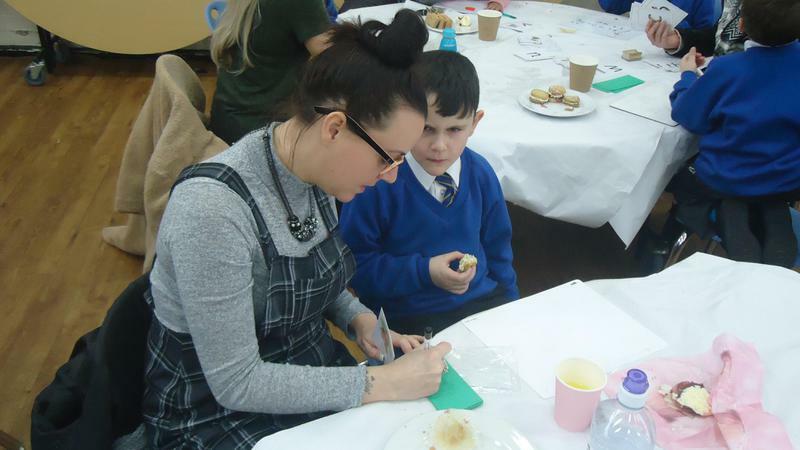 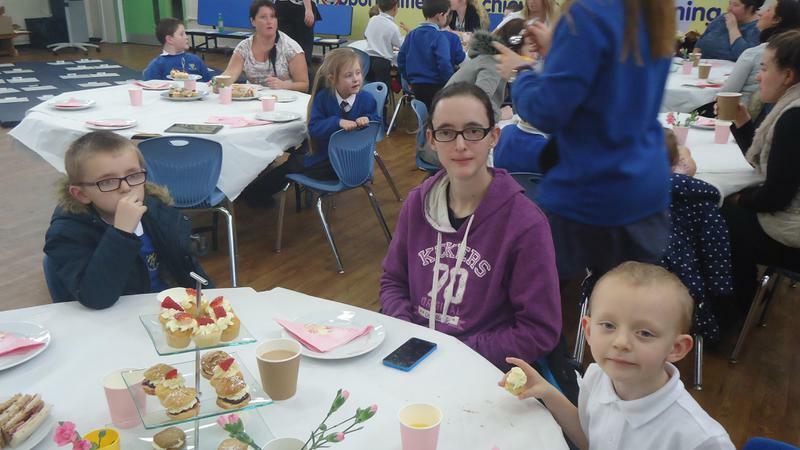 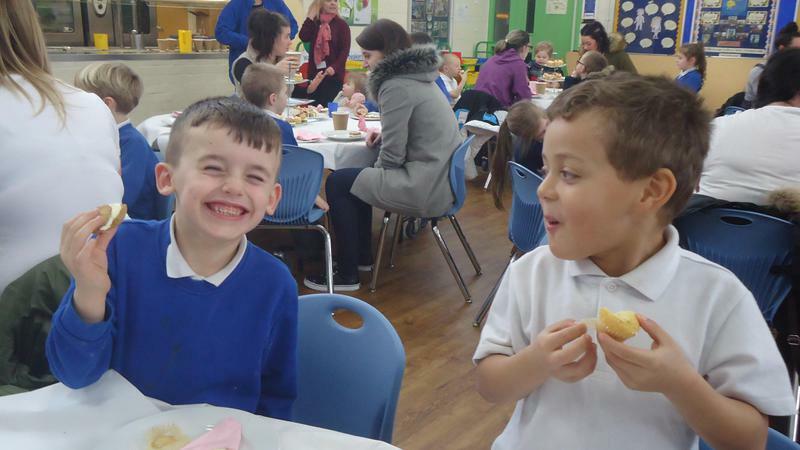 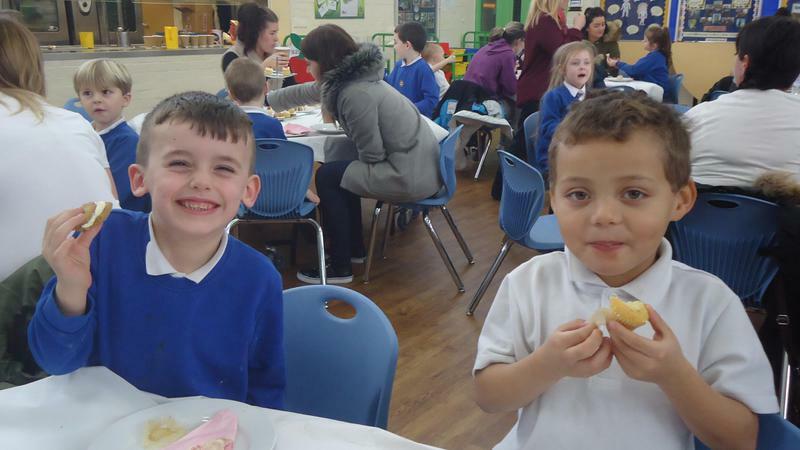 We ate delicious cakes and devoured fruity scones before we began our challenge! 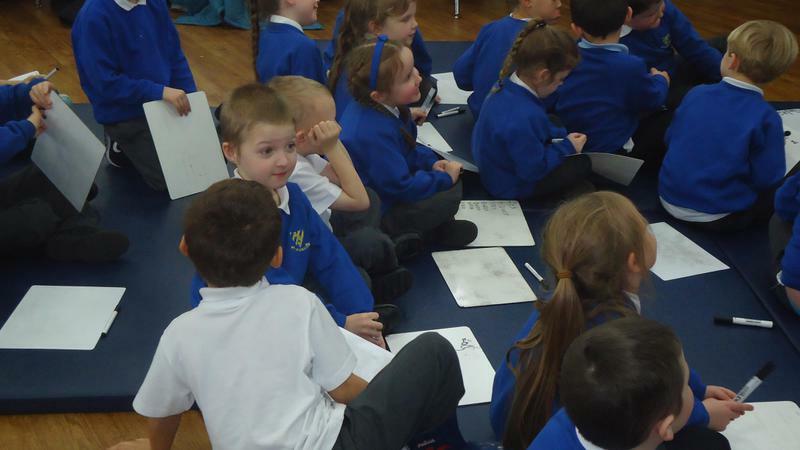 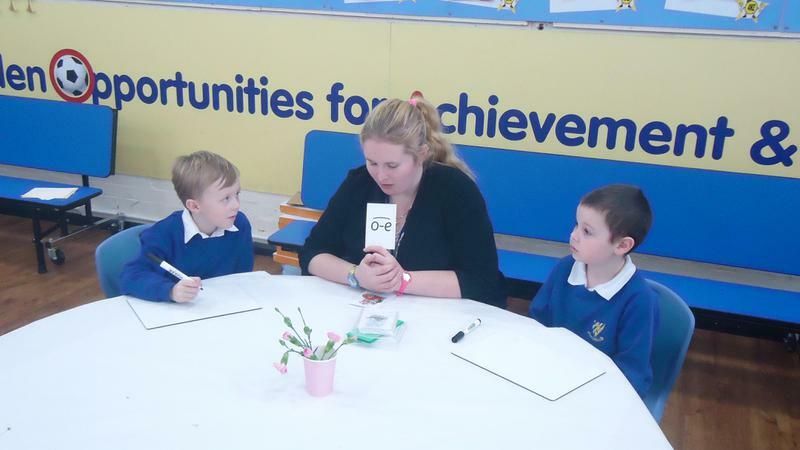 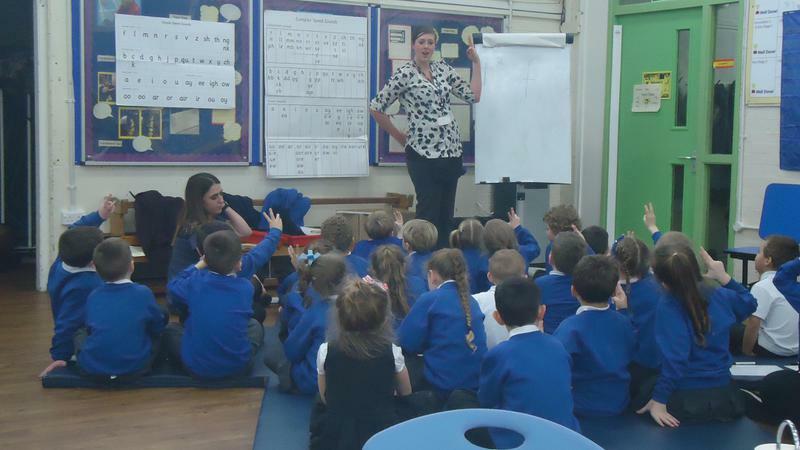 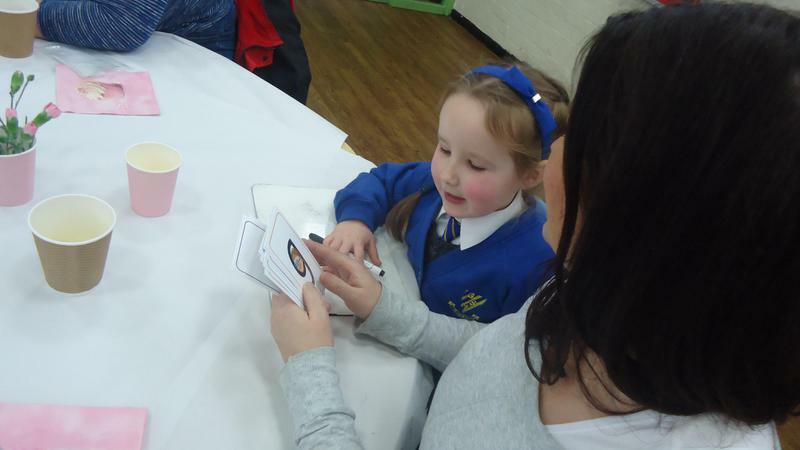 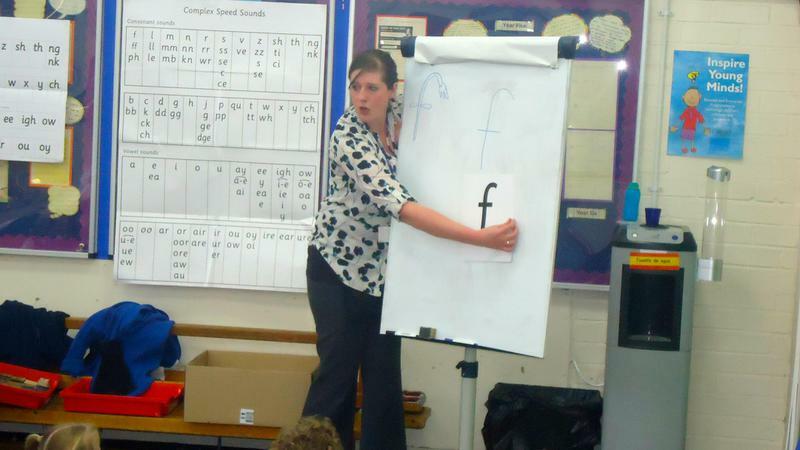 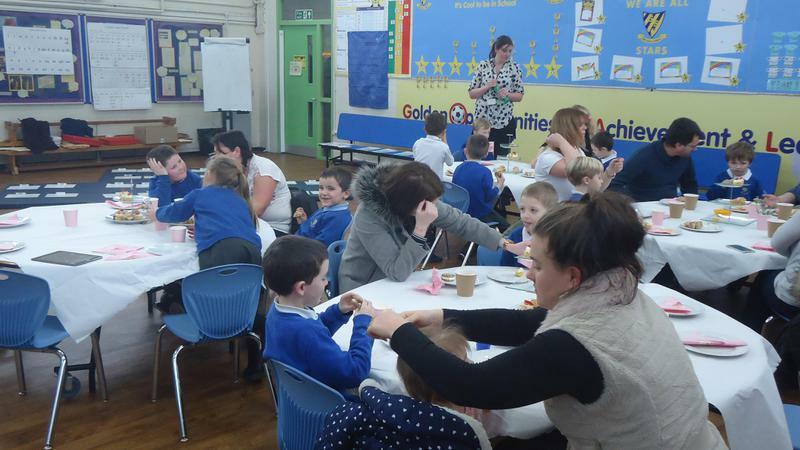 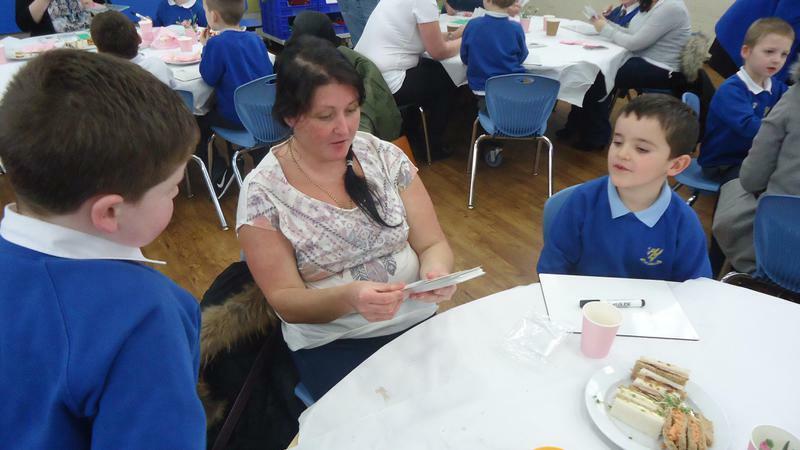 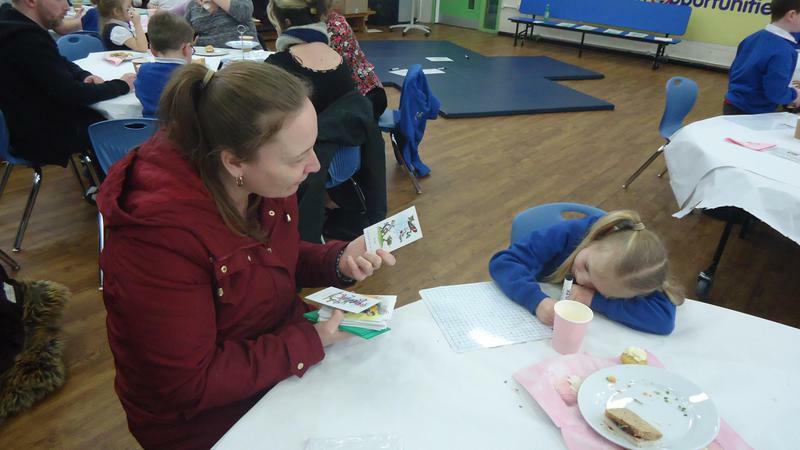 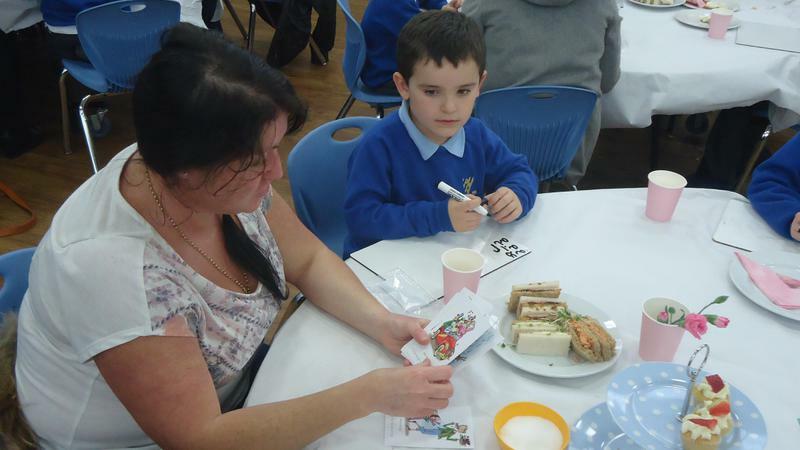 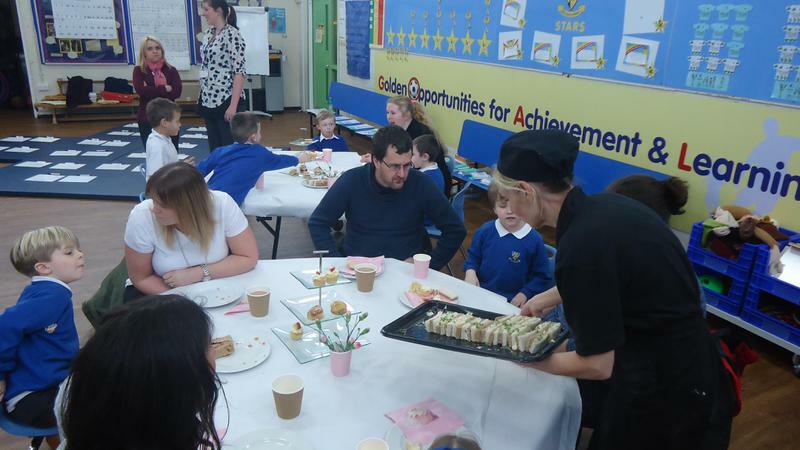 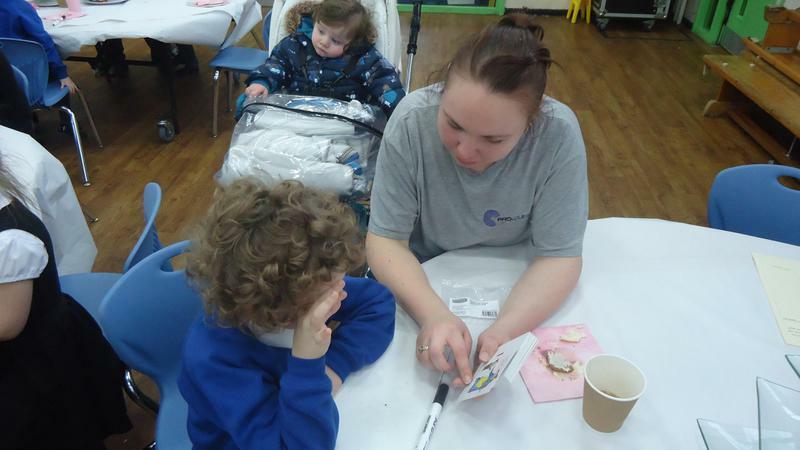 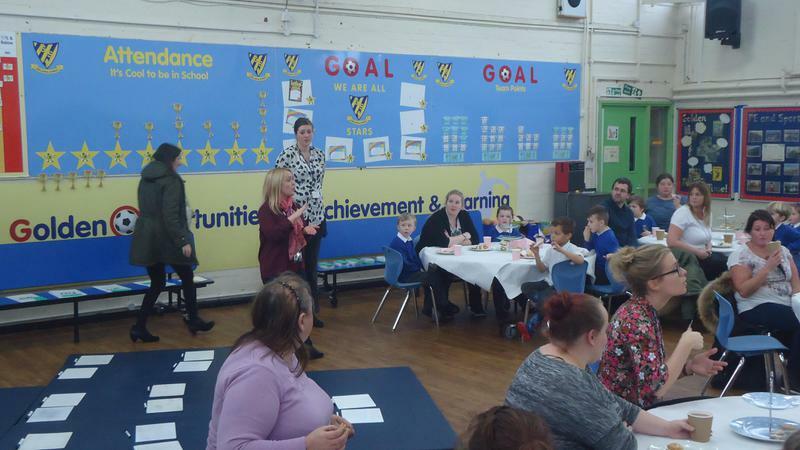 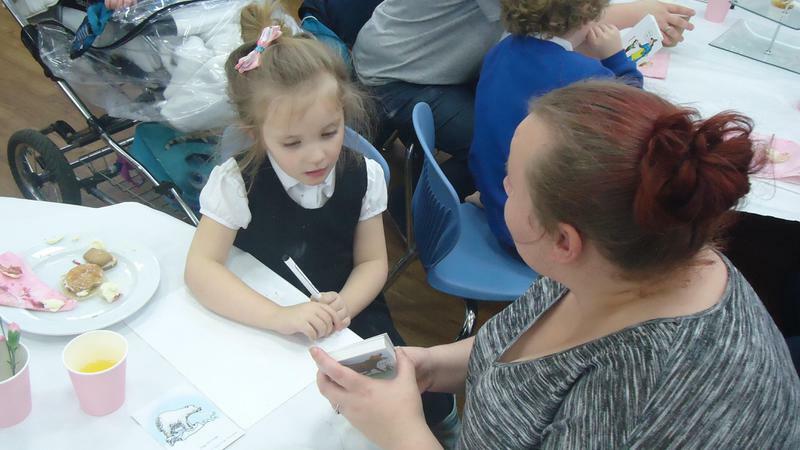 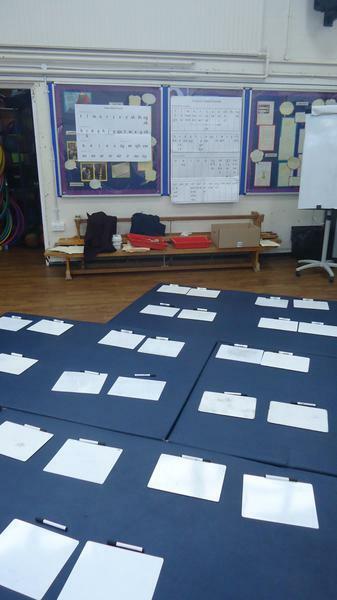 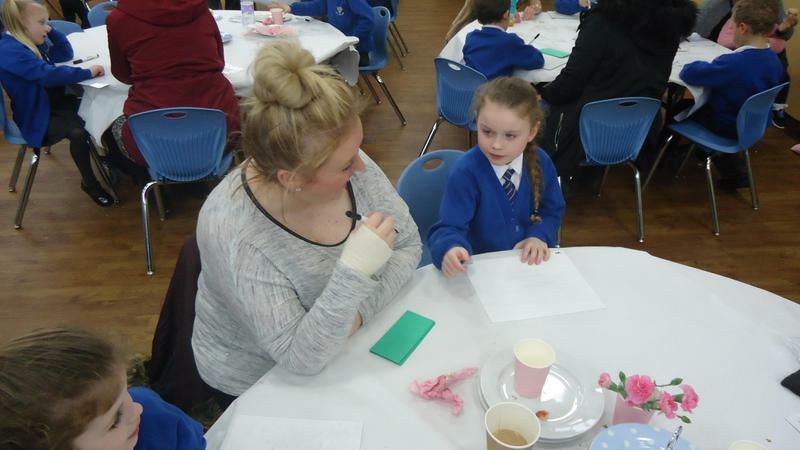 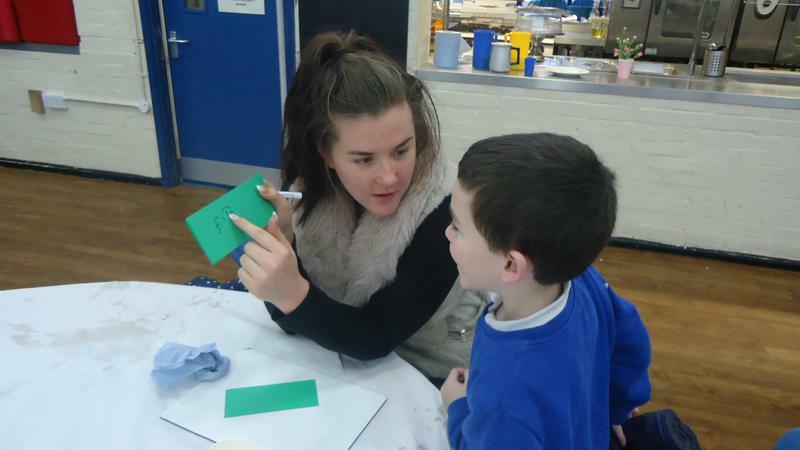 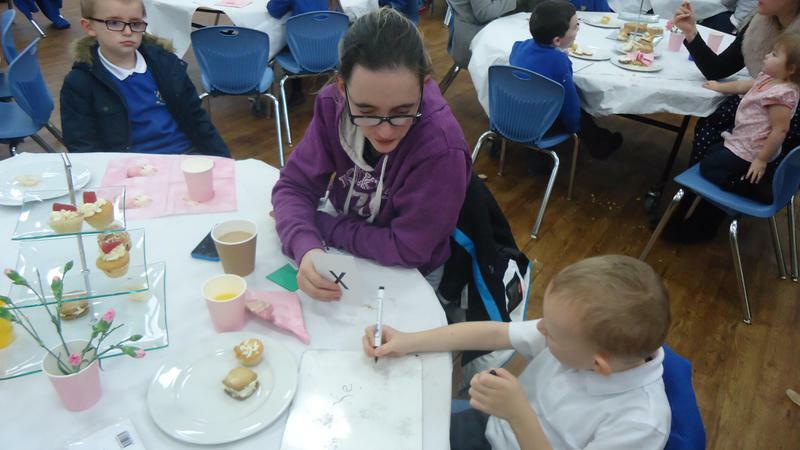 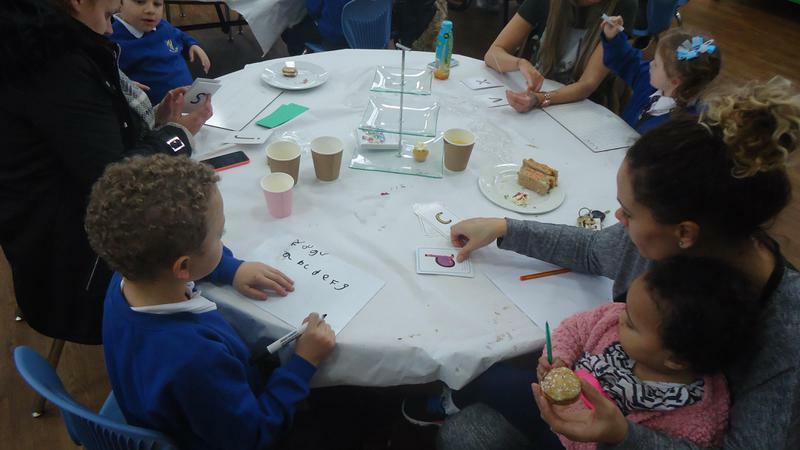 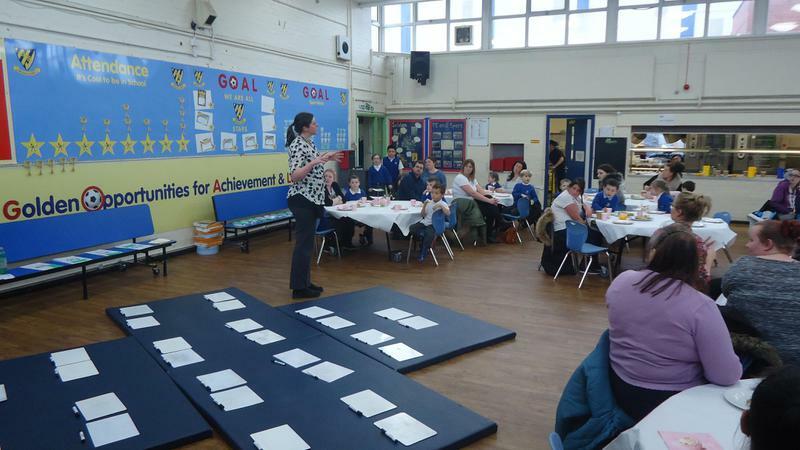 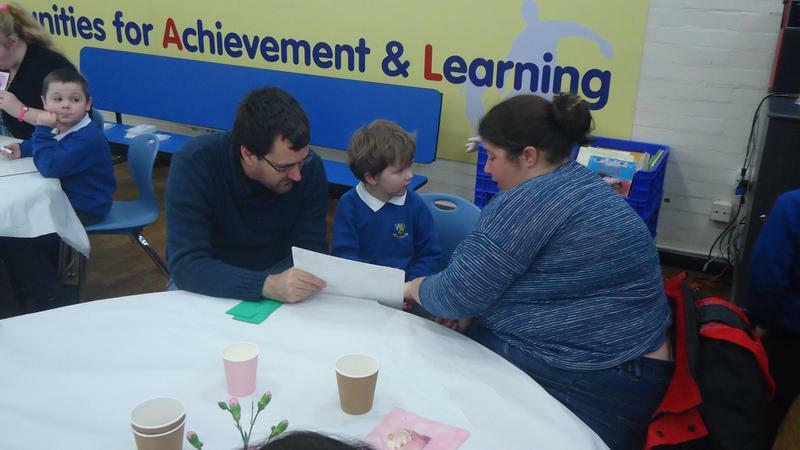 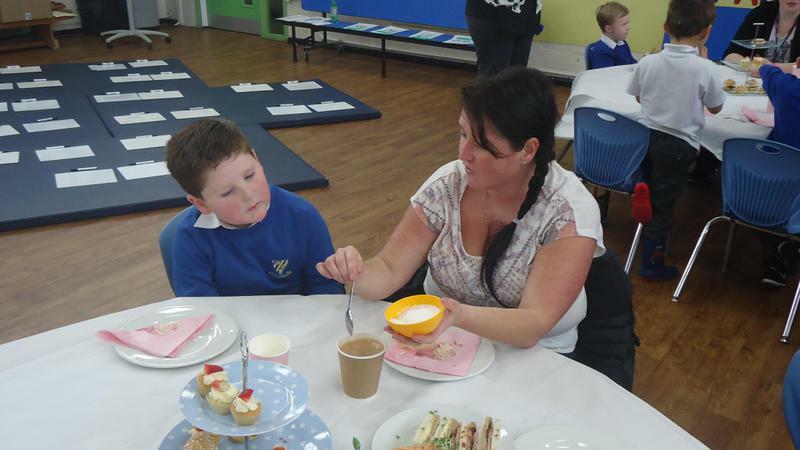 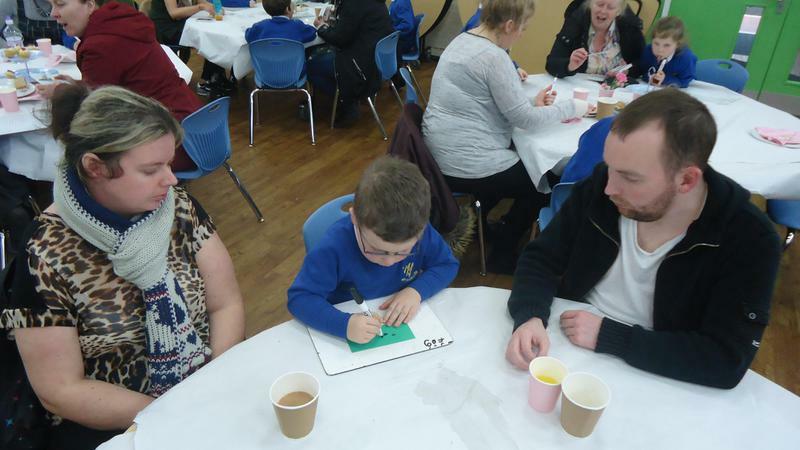 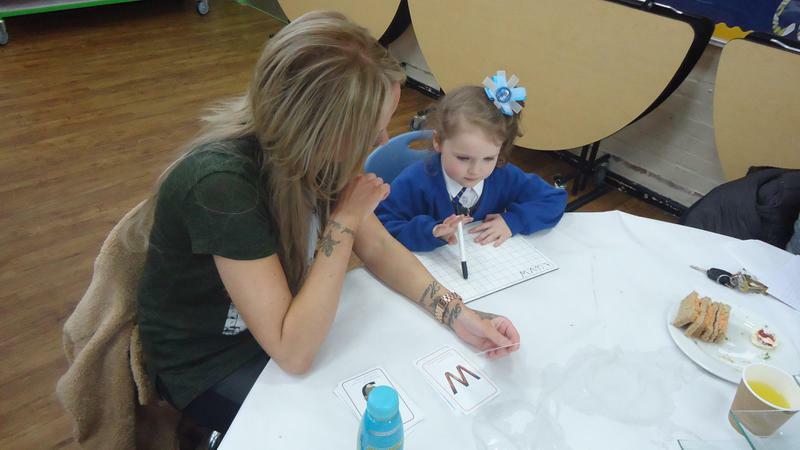 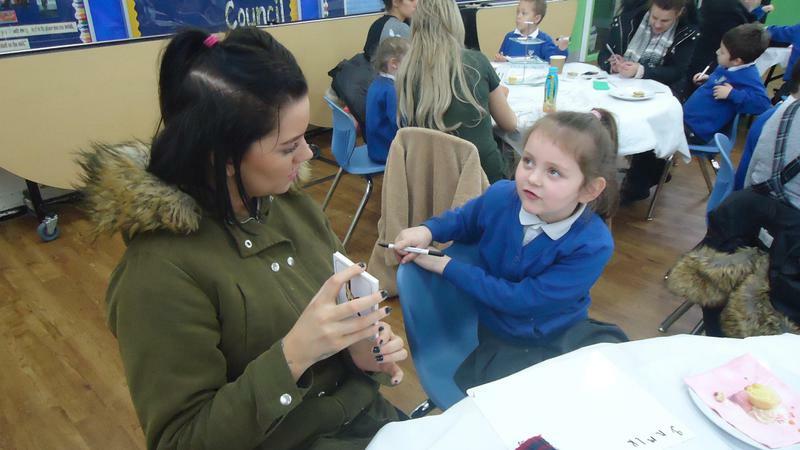 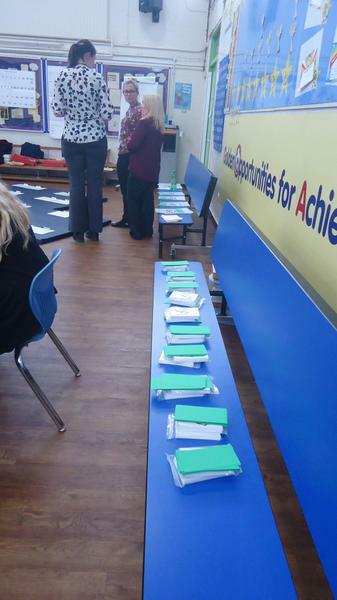 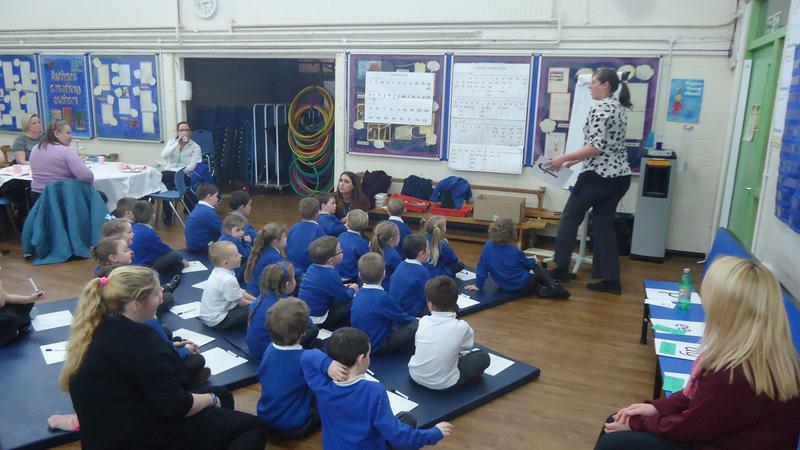 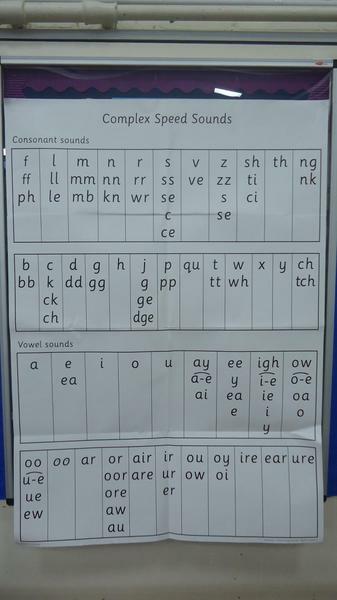 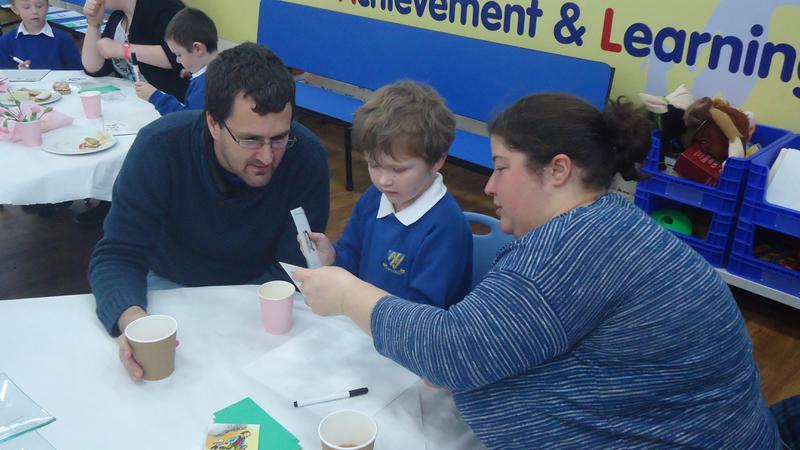 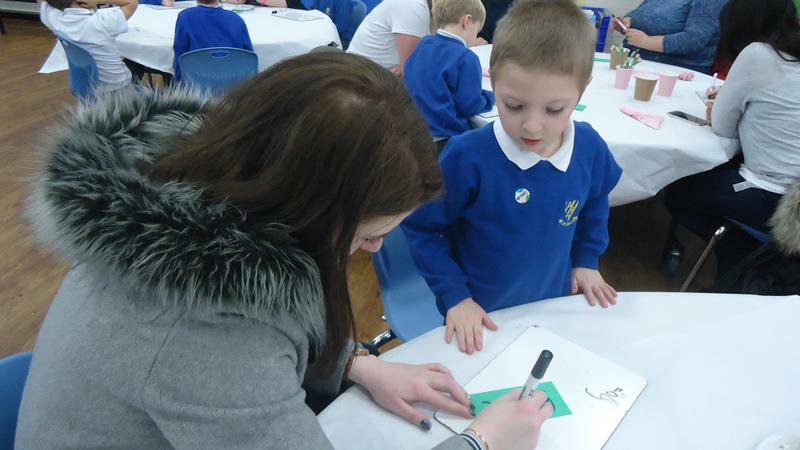 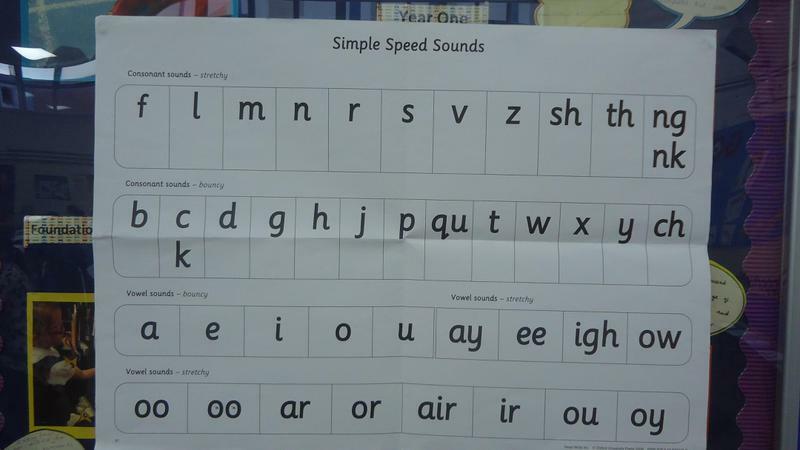 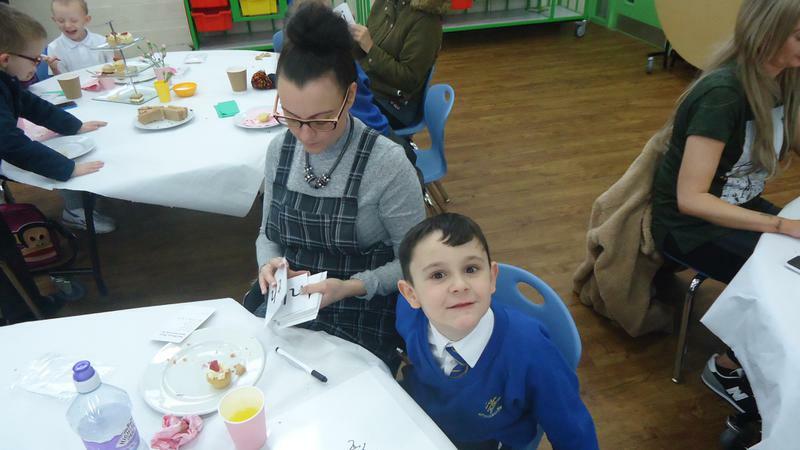 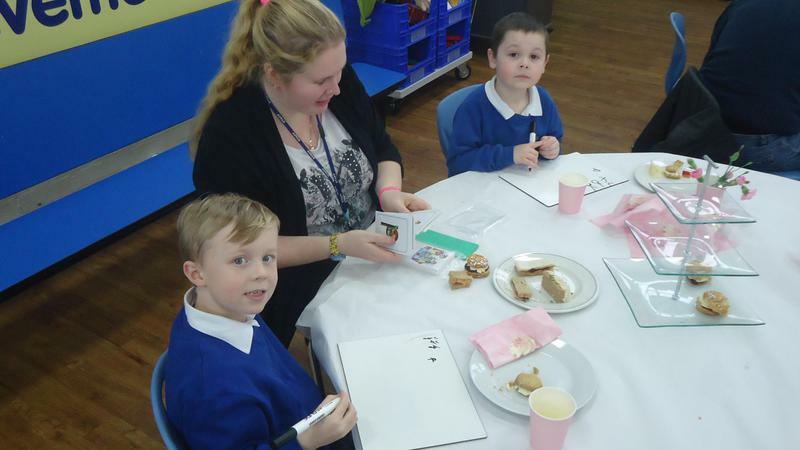 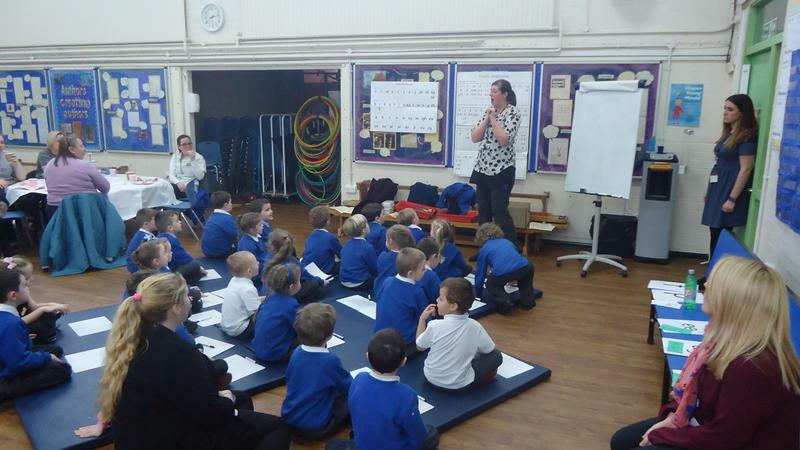 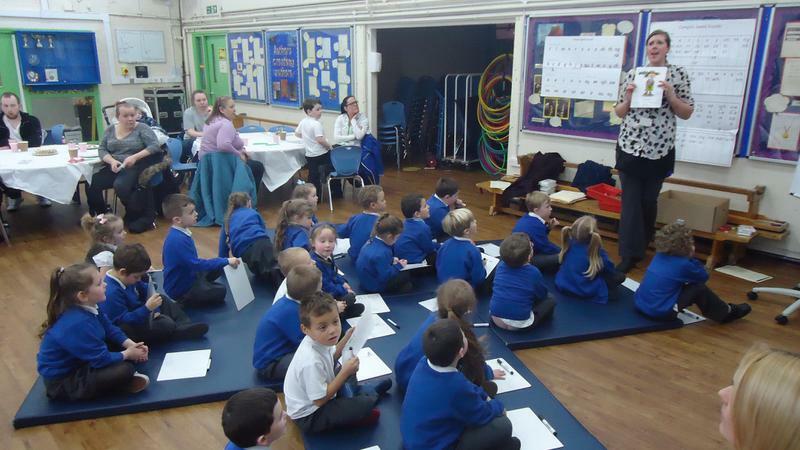 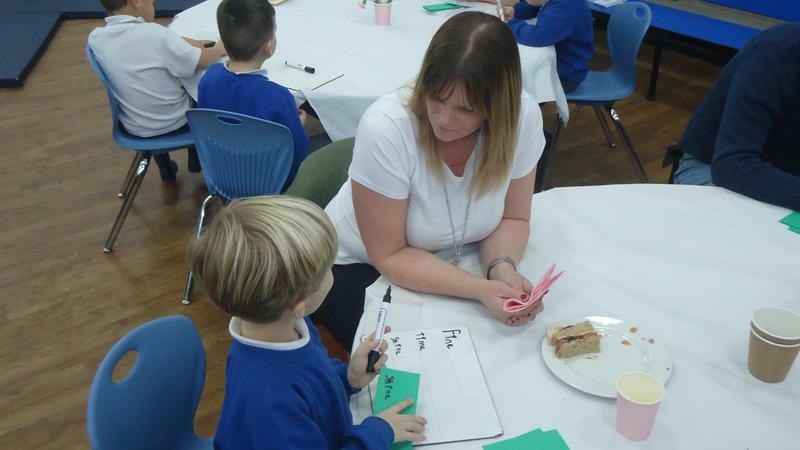 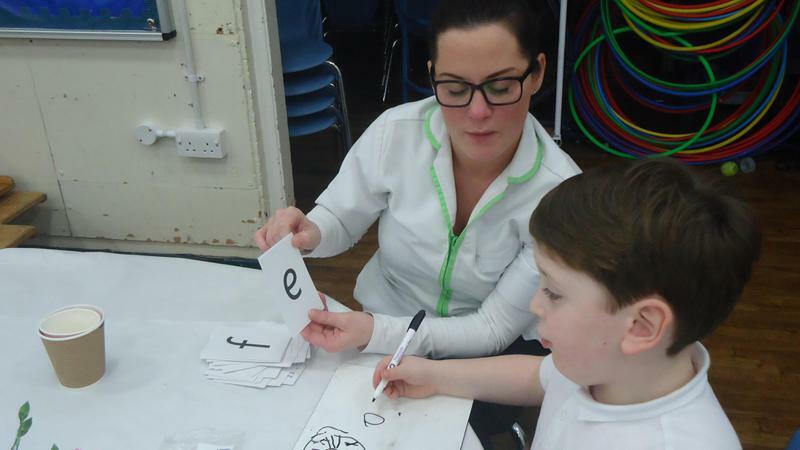 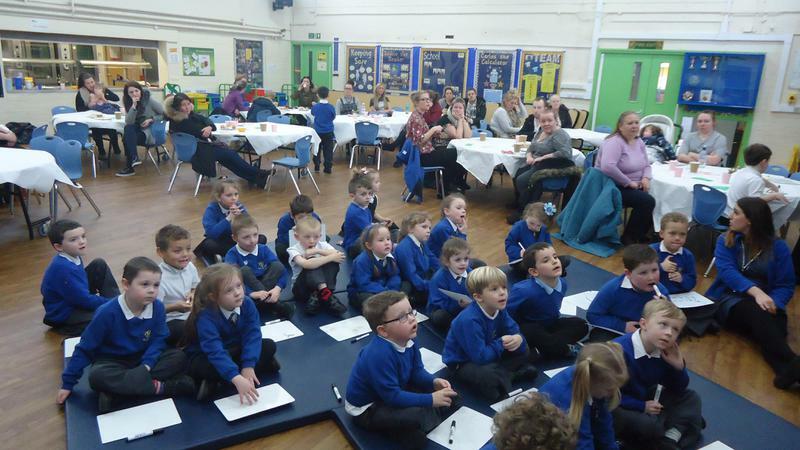 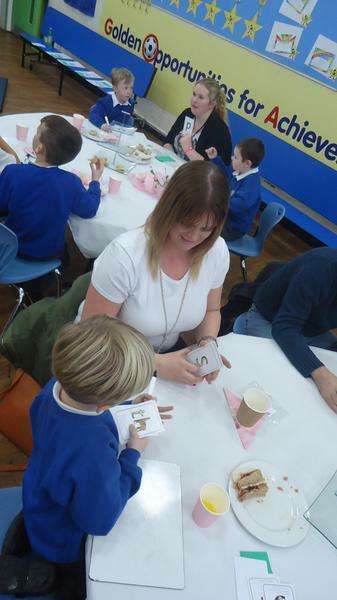 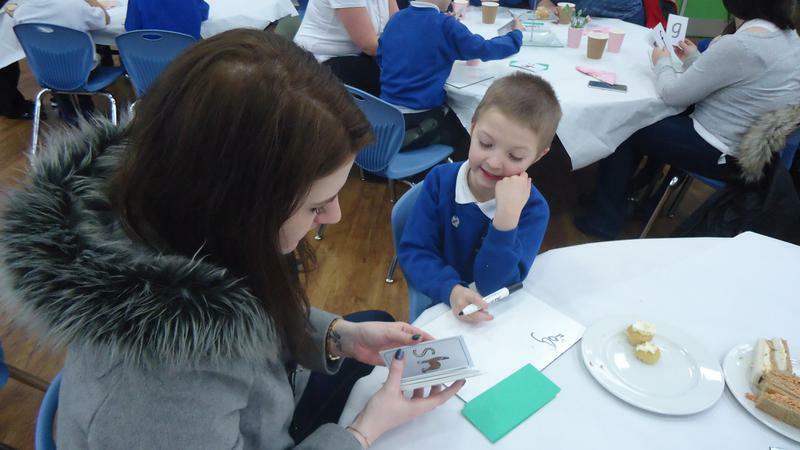 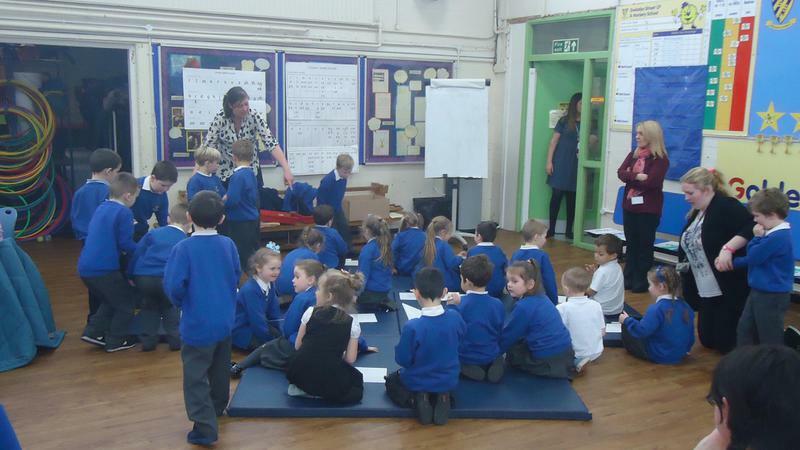 The children worked very hard to show their parents how we learn to read using Read Write Inc in Gwladys Street and then they returned to their tables to learn with the adults.